"I don't think it's going to be close." 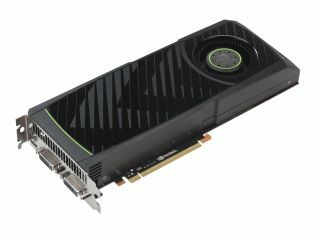 Nvidia has just launched it's newest, second generation DirectX 11 graphics card, the GeForce GTX 580 and it thinks it's got an outright winner on its hands over AMD. Competitor AMD is rumoured to be launching its top-end GPUs at the end of this month after letting its uninspiring Radeon HD 6870 and HD 6850 into the wild in October. So who will win in this latest graphics deathmatch? According to Tom Petersen, Director of Technical Marketing at Nvidia, there's only going to be one winner. TechRadar asked him if the GeForce GTX 580 was still going to be the fastest card. "When Caymen comes out? Oh, I don't think it's going to be close." "I have as much information as we have at Nvidia, but I think we're going to win," he continues. "If you believe their information that's become available so far we should win." That's confident stuff considering just how secretive AMD has been about its latest top-end graphics cards. The Radeon HD 6970 and HD 6950will include radically different architecture compared with its recent below-par releases. That's important because the rumours are that we're looking at twice the geometry performance of the previous generation of AMD GPUs. But as Petersen says, "ATI's been spectacularly secretive with Caymen Islands, so I can only guess." We shouldn't be guessing for too much longer though, and we'll have the full in-depth for you as soon as it hits our test benches.